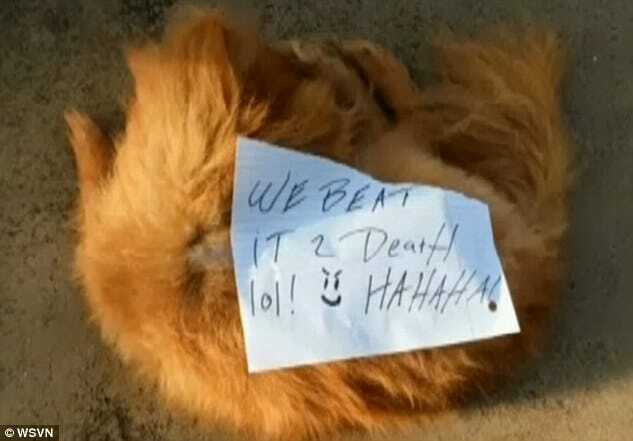 Why did culprits choose to brutally prey on a family dog? 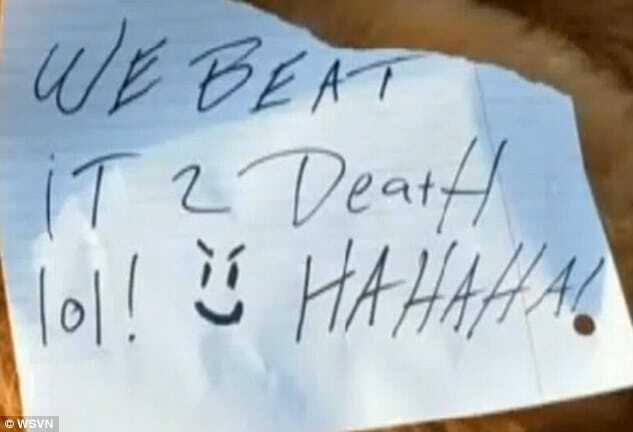 Pictured Pomeranian family dog, Fox, beaten to death with attached note. 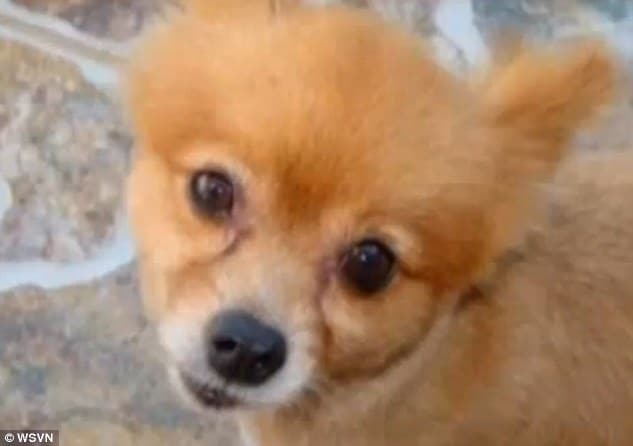 According to Boisvert, the family pet disappeared Friday afternoon when his girlfriend, Verline Bartheleny let him out at their Pembroke Pines condominium. On Saturday morning, Boisvert was awoken by a ‘frantic knock‘ from a neighbor who said Fox was lying near Boisvert’s condo with the note on top of his body. 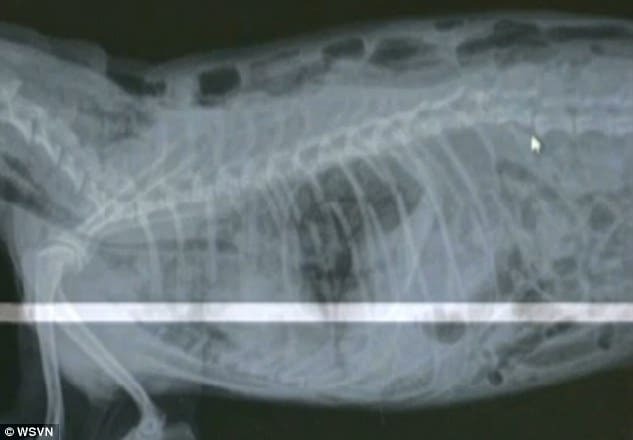 Initially believing the note to be a joke, the owner thought that the dog had died of other causes, but Dr. Ron Ridge, a veterinarian, said the dog was likely kicked to death. 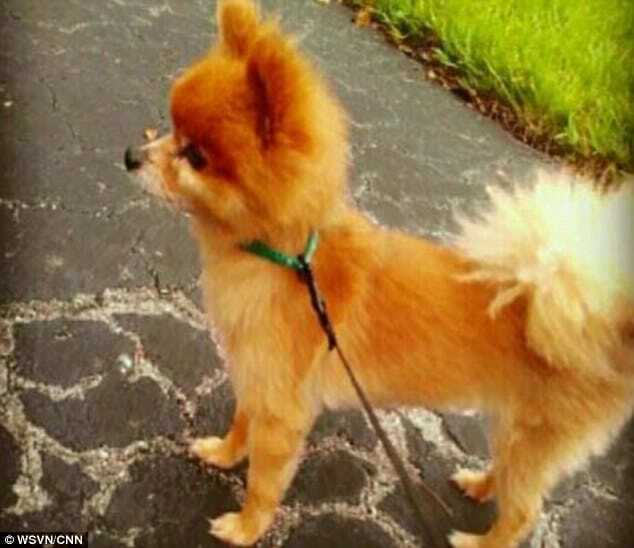 Fox had 10 broken ribs, missing teeth and a broken back,. Boisvert said he doesn’t know why anyone wanted to hurt Fox, saying he thought the culprits were local because Fox was not wearing a collar when he was returned to the family home. An act that suggests that the culprit(s) wanted to make sure that the dog’s owner could see for themselves what was done to the dog, as an act of punishment or retribution or possible psychological threat. ‘The only way you would know is if you’d seen him before,’ added the distressed dog owner. Since the incident, the family has posted flyers around the neighborhood asking for anyone with information about Fox’s death to come forward. Anyone with information is asked to call Broward County Crimestoppers at 954-493-TIPS. Police are offering up to $3,000 for information leading to an arrest.